Fewer domestic abusers in Northamptonshire are being arrested, prosecuted and convicted, figures show. 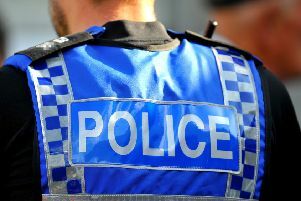 Northamptonshire Police recorded 15,658 incidents of domestic abuse in the 12 months to the end of March, according to figures from the Office of National Statistics. Of these, 49% were logged as crimes. The rest remained as incidents, which means an officer investigating a report of domestic abuse determined an offence had not taken place. The force made 2,806 arrests for domestic abuse-related offences over the same period, giving an arrest rate of 37 for every 100 recorded crimes. This is down from 39 the previous year. Across England and Wales, domestic abuse incidents increased by 6% while the proportion of offenders arrested fell. Charities have described the figures as “shocking”, and called for more action to ensure abusers are brought to justice. Katie Ghose, chief executive of Women’s Aid, said: “This failure by the police to consistently protect survivors is a major concern and is likely to damage the survivor’s trust in the police. The number of domestic abuse incidents recorded by Northamptonshire Police fell by 1%, going against the national trend. Prosecution and and convictions rates also fell. For every 100 domestic abuse crimes last year, just 13 offenders were prosecuted, down from 14 the previous year. Only 10 in every 100 crimes led to a conviction , compared to 11 in 2016-17. The ONS said that improved accuracy in the recording of domestic abuse could be behind the increase in incidents nationwide. However, the National Police Chiefs’ Council explained that reports had risen “considerably” over the last 8 years, while cuts to police resources had left officers struggling to provide the best response to victims. Deputy Chief Constable Louisa Rolfe, NPCC lead on domestic abuse, said: “Domestic abuse is an increasing proportion of emergency call demand in every force and therefore resources are stretched. “When we take longer to respond to a call, investigate a crime or arrest an offender, victims are less likely to have confidence in the justice process. Sandra Horley, chief executive of Refuge said: “It is scandalous that so many women’s lives are torn apart by current or former partners. A Home Office spokesman said the Government would soon publish a “landmark” Domestic Abuse Bill which would look to transform how the crime is dealt with.